When it comes to trade policy, the White House has arguably set a new record for its inconsistency and chaos. As the price for lifting Chinese tariffs, the Trump administration has issued an all-encompassing set of demands so vague and extensive and confusing that Beijing is unlikely ever to meet them. 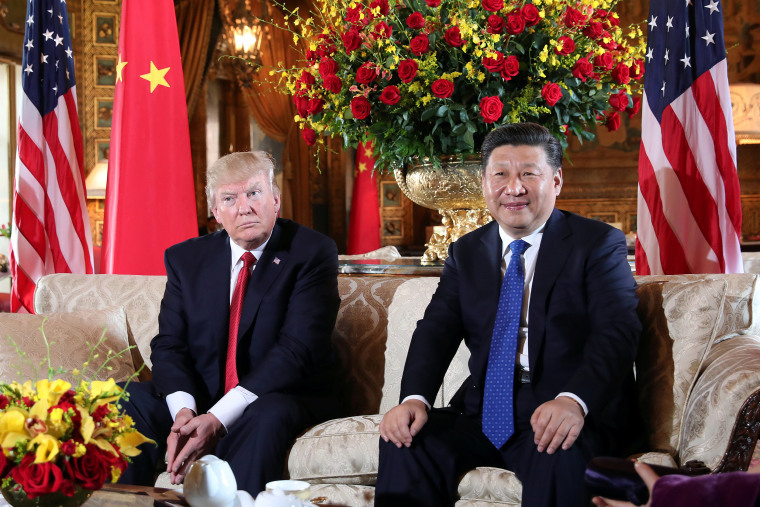 One conclusion is clear: Trump's ill-considered trade war is not intended to achieve fair trade through negotiation or change Chinese behavior. Rather the aim is to erect stiff trade barriers that remain in place for many years, blocking or curbing all Chinese imports and discouraging U.S. firms from ever outsourcing operations on Chinese territory. Why is that the only logical assumption flowing from Trump's trade actions? One reason is that the White House rationale keeps changing. First, it seemed that an agreement to reduce China’s trade surplus with the U.S. would be enough to satisfy the administration. But now, China is expected not only to meet legitimate demands to strengthen intellectual property protection and stop pressures on U.S. firms for technology transfer, but also to abandon the industrial policies known as Made in China 2025, which represent the core of its development strategy. Another reason to doubt the Trump administration's trade goals is that those goals often appear utterly contradictory. Take the administration's conflicting approaches to trade with China and Mexico. On one hand, Trump has lashed out at U.S. firms that outsource manufacturing to Mexico, asserting that these practices have cost U.S. jobs. On the other, Trump has imposed billions of dollars of tariffs on China exports to the United States to get Beijing to treat foreign companies more fairly — and to stop forcing these companies to transfer their technologies to the Chinese. Yet if the Chinese comply with these U.S. complaints, China will actually become more attractive to U.S. firms that assemble their products there. In addition, with Mexico and Canada, Washington is trying to undermine investor confidence by forcing NAFTA replacement deals to expire every five years. The administration also wants to raise costs for foreign firms making cars in Mexico by requiring that workers be paid at least $16 an hour to qualify for duty-free access to the United States. Meanwhile, the administration is opposing Chinese practices that restrict U.S. foreign investment in China. These complaints about Beijing’s unfair behavior regarding issues like intellectual property protection have struck a chord with many American advocates of freer trade and investment rules with China. So isn’t it strange that when it comes to Mexico, the administration is trying to discourage foreign investment — but when it comes to China, it is taking steps that would encourage it? Only if you believe what the White House says. The more plausible explanation is that what Trump really wants with China is not to encourage more U.S. investment but instead to create an excuse for taxing imports, especially those imports U.S. firms produce in China. No one would ever accuse Trump of a foolish consistency — the famous hobgoblin of little minds. But when it comes to trade policy, the Trump team has set some kind of new record for its own kind of devilish spirit. Robert Z. Lawrence is the Albert L. Williams professor of trade and investment at the Harvard Kennedy School and a fellow at the Peterson Institute for International Economics in Washington.